With the release of Magic: The Gathering’s Ravnica Allegiance, I wanted to go over some cards I’m personally excited about and want to see what insane things people do with them. They might not shape up to be the best cards; they may not be the most viable in whatever format you happen to play, but I can assure you of one thing: they will be fun. I’m not sure why this card is getting so little hype. It’s only two mana for a deathtouch that also replaces itself with a flyer. 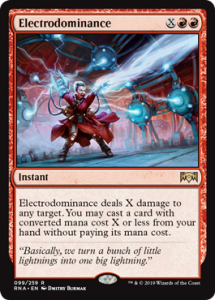 Like, sure, it’s not as big and flashy and interesting as some cards, but you play this on turn two, and your opponent better not mind losing something to it. If you are building aggro in black, or just need a low thing for your curve, this is your man. Ha-ha, look who utterly failed to die. 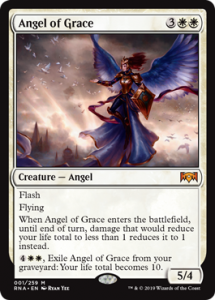 Angel of Grace is part of the long tradition of five-cost angels that control players bring in to be annoying for aggro players. This all but makes sure you can have one more turn to save yourself, and, well, it’s also a big angel with flying, so it’s not like you can’t slam in for five on the following turn. Always, always watch for a tell with this card. I expect someone soon to have tales of woe because of this angel. Don’t drink water while reading this card. Is that a hydra with a Sphinx’s Revelation attached to it, that works on cast? 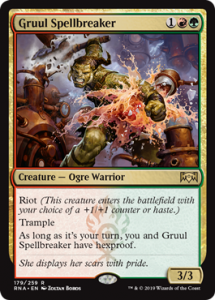 If you’re playing some ramp variant, and successfully drop this on turn five through seven, you probably win. 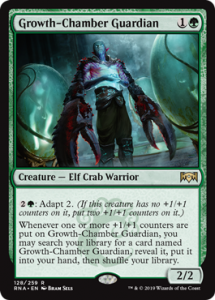 I find the best creatures demand removal before they even attack for the first time, and, this, on top of that, already will have caused a big tempo swing. That name is amazing, and this card is no slouch either. Four mana always seems to be the sweet spot for planeswalkers to see play. 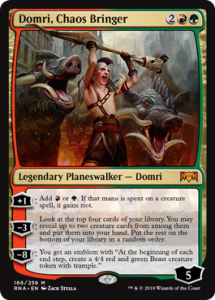 Domri has a good set-up of abilities: giving summoned creatures riot (which does stack multiple instances) makes it possible to throw some serious damage around quickly, and his second ability is a decent card engine. 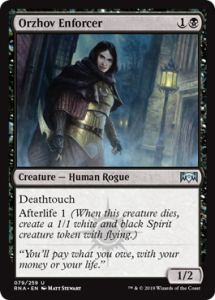 As usual, his final ability basically reads “your opponent is going to die quickly,” but I would expect nothing less of a planeswalker’s ultimate. Free-card fireball, instant speed. I don’t really need to explain why this is a good card. Cast it for four on your opponent’s end step, drop a two drop—and that’s only early game. If you’re looking at 6 lands, that’s a massive tempo shift that could flat-out kill your opponent. Ever wanted your opponent to fear for the life of every single creature they have? 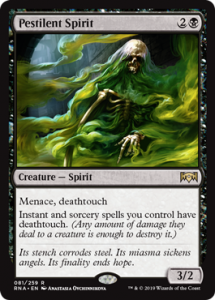 Yeah, Pestilent Spirit is a card that’s just annoying. It will kill something if not stopped. 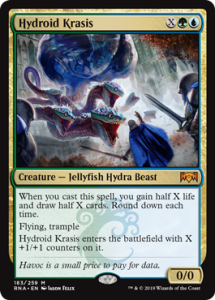 Menace makes it take down two creatures if they decide they need to block it, and its second ability makes Shock murder a Hydroid Krasis in one zap. If a card from this set gets banned, this would be my guess as to which one. I know it’s just a beater, but, it’s a beater with text that does not stop. It’s pretty much never a dead draw, as its hexproof ability is just brutal, and demands control player’s play fair for a turn. Early game, a trampling, hasty 3/3 is not something to sneeze at, and, late game, it’s still a pretty brutal 4/4. 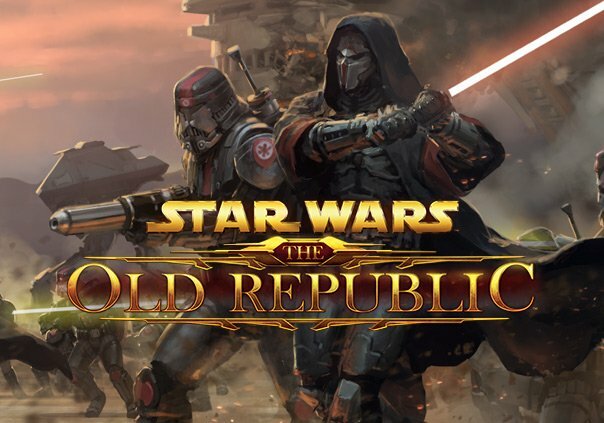 Expect red decks to splash green just to run this bad boy. When you want to go wide, and you do not want the person to have any good options, Judith works for you. 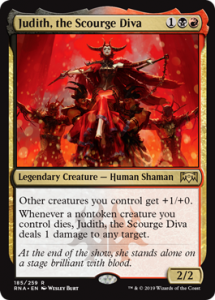 Her anthem ability is powerful on such an easy to cast creature, and her second ability means two major things, one: every block hurts, and two: there’s no way to avoid triggering spectacle for the second main phase—so a certain other card on this list gets to murder them. Hello Lightning Bolt, welcome back to standard. Almost always going to be cast on the second main phase, Skewer is a punisher card on top of being solid burn and removal. As standard progresses, I predict most players will expect one to come down from red decks, should they allow through any point of damage. And they are right to be that cautious. Multiple copies turn a single pinprick into a cascade of death. Being a sorcery makes this card a lot weaker than it could be, but it’ll still kill anyone not prepared for it. Your opponent has a single turn to respond before they must deal with a turn-three 4/4 coming into the red zone. And, because there is never a good reason not to run four of these, you gain card advantage fast. Not only because you basically draw a card, but because they chain themselves. Sure, late game, 4/4s are not as scary, but, it’s still a strong addition for anyone running green. 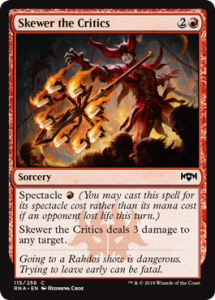 And that’s my incredibly biased look at the newest cards from Ravnica Allegiance. Ravnica is my favorite plane and I’m excited to see what fun decks I’ll get to play and play against with these strong additions. It’s a good time to be a Magic player.